Deloitte first touted the idea of the augmented workforce at the panel on the future of work at the World Economic Forum in Davos at the beginning of 2017. They cited figures that showed an increasing use of automated and AI technologies in the workforce, noting that 41 percent of companies reported they had fully implemented or had made significant progress in adopting such technologies. Not much has changed. 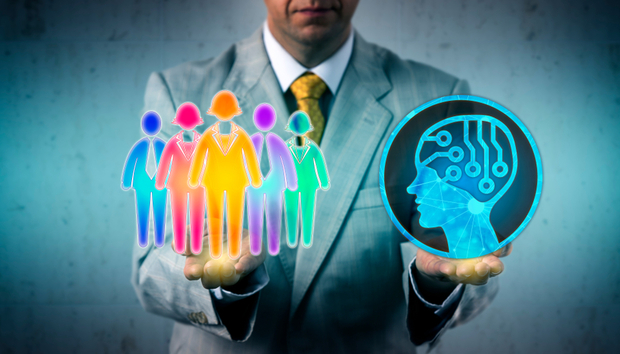 The 2018 Deloitte Human Capital trends report found that UK leaders are preparing for the deployment of new technologies to sweep their businesses in the coming years, with 83 per cent expecting AI and cognitive technology to have an impact on the composition of the workforce by 2020, and 33 per cent saying that it has already had an impact. Far from the obsolescence of skilled workforces, though, this new era has business leaders emphasizing the importance of human skills. As much as 69 per cent of those surveyed in the Human Capital trends report say that as AI and robotics become integrated in the workforce, complex problem-solving skills will be important in the workplace, while 61 per cent say that technical skills and 60 per cent say that cognitive abilities will be. However, currently, just one in eight (12 per cent) organizations plan to train their current workforce to enable the human skills which will be required by the use of AI and robotics, with 43 per cent saying they do not have a plan to cultivate these skills. More companies are embracing the notion of augmentation. What does an augmented workforce look like? Alexandra Levit, futurist, consultant, and author of Humanity Works: Merging Technologies And People For The Workforce Of The Future, says that in the last year, she has seen more leaders attempting to embed analytics and bots into everything the company does. Leveraging of such automated technologies are key to the augmented workforce.